There was a shortage of rides the first few days of the Highland County Fair, but Fair Board Executive Secretary Dave Stratton said extra rides were brought in Tuesday night and will remain in place through the remainder of the fair that concludes Saturday night. Stratton said the fair board apologizes for what were unforeseen circumstances that led to the shortage of rides. He said he could not comment further. 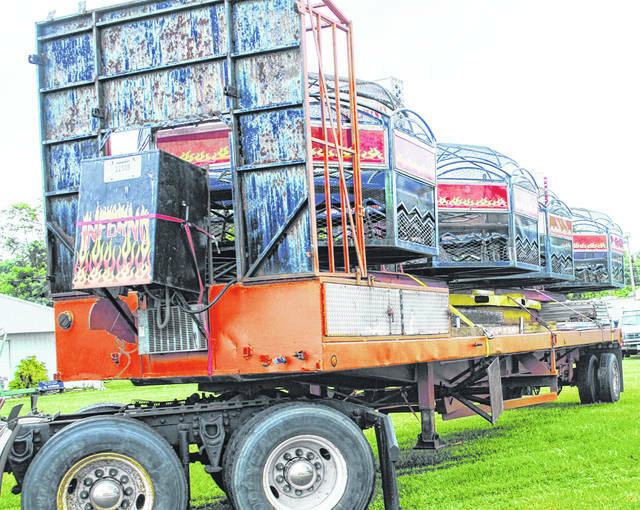 John Jinright, a co-owner of JCJ Amusements, said the company has provided rides at the Highland County Fair since 2015, and that it had a contract to provide the rides again this year. But Jinright said he had some overlapping dates that did not allow him, without working 48 hours straight, to supply his full compliment of rides when they were supposed to open in Hillsboro at noon Saturday, Sept. 1. To solve the problem, Jinright said he subcontracted with Valdon Gorham of Cromer Amusements to bring in some smaller rides on Sept. 1 until JCJ Amusements could get its larger rides to Hillsboro the next day. Jinright said he made the fair board aware of his plans, and that it is not unusual in his business for companies to share rides. He said that he arrived on the fairgrounds around 2 a.m. Sept. 1 — without the JCJ rides — and helped Cromer Amusements through the routine ride inspections later that morning. But he said that later that evening fair board members told him he was in breach of his contract, and that he was asked to leave the property. “We were doing this together and all of a sudden I got booted out, and I have a legal, binding contact,” Jinright said. Jinright said he and family owned JCJ Amusements are planning legal action against the fair board for breach of contract, and other legal action against Cromer Amusements and Gorham. A year ago, JCJ Amusements was the ride supplier at the Highland County Fair when a ride malfunctioned on the second day, causing two young girls to sustain minor injuries. The girls were evaluated and refused to seek further treatment, according to the Paint Creek Joint EMS/Fire District. JCJ Amusements said at the time that a chain broke, causing one of the ride’s carriages to hit the ground hard.